Published on January 21, 2017 in Study Fun And Humour. 2 Comments Tags: Math question. 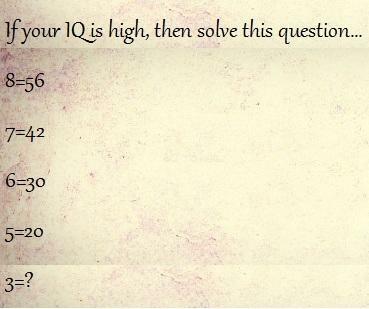 This test was administered to second graders….! At the first stop, 19 people get off the train. At the next stop, 17 people get on the train. Answer by placing a comment below. Published on October 11, 2014 in General. 24 Comments Tags: IQ Question, logic question, Math question.